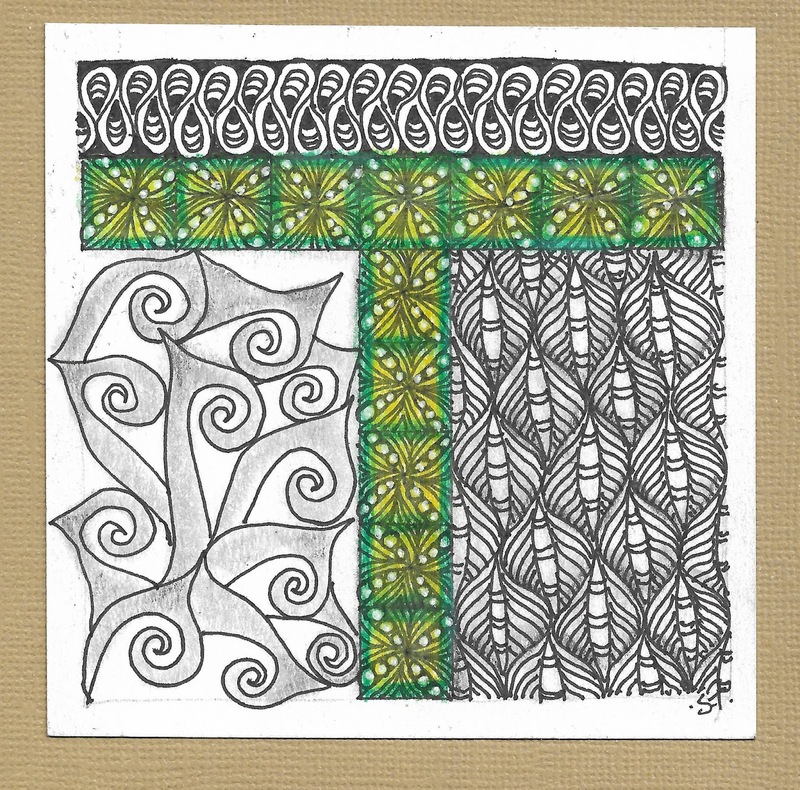 I haven't quite finished my T yet, but I am using Ta-Da as well! I love it. 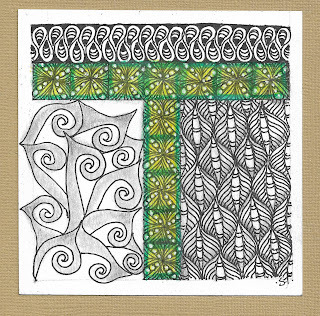 Your green T and beautiful shading really make this tile flow. It's eye-catching!